Every Thursday during the school year, beginning at 11:30 a.m., volunteers gather at the Hacienda de Guru Ram Das in Sombrillo to prepare 535 bags of food for children attending various Española School District sites, as well as surrounding pueblo day schools, that may not otherwise eat during the weekends, said Guru Simran Kaur Khalsa, head of Food 4 Kids New Mexico. Originally from the Netherlands, Khalsa came to the Valley in 1981 at the request of the late Yogi Bhajan. "Originally, I thought Española was in Spain," she said. "I was teaching 13- to 18-year old students and decided to take a year sabbatical. Then I found out I was headed to the United States. It was the best decision that I ever made." Food 4 Kids, sponsored by non-profit 3HO (Happy, Healthy and Holy Organization) of New Mexico, was started by Khalsa roughly 10 years ago, she said, and provides students with food-stuffs for their time away from school, where many of the students in the program get a majority of their meals. "It is not a lot," she said. "I wish I could do more but the rules are what they are and single servings of items are sometimes hard to find, and when we do find them, they are very expensive. But, at least it is something." Each bag, coming in at roughly $3.60 each, has a single serving of cereal, bananas, apples, cheese, granola bars, beans and rice, milk and fruit juice, in accordance with the rules they have to follow to even be able to donate food, she said. "This is your bag of food for the weekend," she said. "Tell me, what would you pick for your evening dinner? Saturday meals and for Sunday? This food has to last many of them for the entire weekend." The program can only provide food for the students identified by their respective administrators, teacher and counselors during the regular school schedule due to privacy rules in regard to student identities and rights, she said, but they do try to give them a little extra during school breaks with aid from the Food Depot in Española. "What they do at the Food Depot is freeze the bread for us and bring it to us." she said. "So with Christmas break coming, we will get 535 bags of bread from them, and we will put in a jar of peanut butter and the other servings that we give them each week." Averaging roughly $1,926 a week to operate, the program depends on monetary donations that are all used to purchase food for students identified as being in need, Khalsa said, and volunteers and plastic bags, many of which are recycled and brought in by community members. Rachel Lawrence, of Española, has been volunteering in the program every Thursday for almost three years and plans to continue as long as needed. 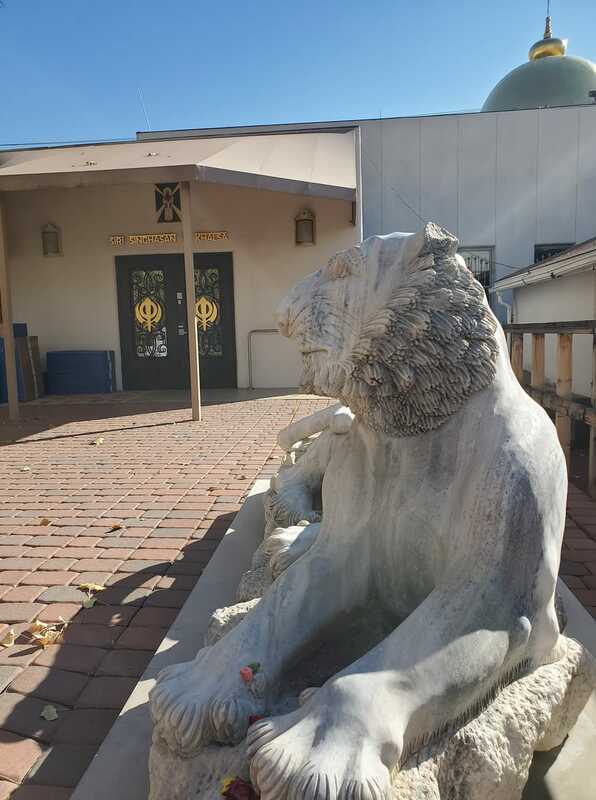 "We want to expand the program," Khalsa said. "And get more food in the bags so that we know that they will have what they need when they need, so if you have extra money lying around, please donate." Donations are tax deductible and can be made via check to Food for Kids, 14 Ram Das Guru Place, Española, NM 87532 or by Paypal at www.food4kids.org.